If you are on Medicare, you have a choice to make when it comes to paying for your prescription drugs. Should you pick a Part D plan, a Medicare Advantage Plan with Part D coverage (an MA-PD plan) or look for coverage outside of Medicare? It all rests on creditable coverage. How Good Are Part D Plans? Creditable coverage means that your health insurance has prescription drug coverage at least as good as a Medicare Part D plan. The good news is that Part D coverage is quite extensive. Part D plans must offer both brand name and generic medications available on their formularies, i.e. their list of covered medications. Part D plans have to offer easy access to your medications through retail, mail order, home infusion and long-term care pharmacies. Part D plans are required to cover at least two medications in each of 148 different drug classes. 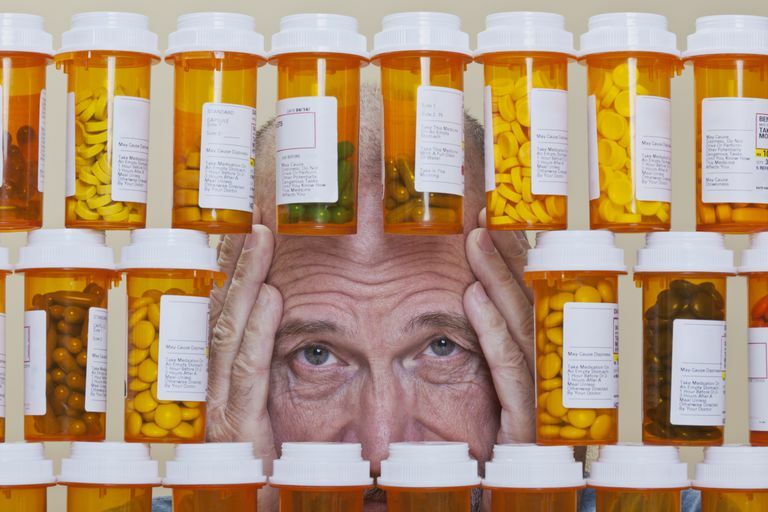 For six of those classes -- antidepressants, antipsychotics, chemotherapy agents, HIV/AIDS drugs, immunosuppressants and seizure medications -- nearly all medications will be covered. Part D plans also cannot charge you more than 25 percent of the retail cost of those drugs. That is the case at least until you reach the donut hole. They must offer reasonable access to pharmacies. Mail order pharmacies are optional. They must pay at least 60 percent of the cost of your drugs. There is no limit to the benefits the plan offers every year or the plan agrees to pay at least $25,000 annually towards your drugs. The plan expects to pay at least $2,000 in costs. For integrated plans that include other benefits (dental, vision, etc), the plan has a) a deductible equal to or less than $250, b) no maximum annual benefit limit or agreement to pay a minimum $25,000 towards your prescription drugs and c) has at least a $1,000,000 lifetime combined benefit maximum. Other plans, especially private plans or employer-sponsored health plans, may vary in what medications they cover and how much they charge. If you are eligible for Medicare, these plans must notify you if their plans are creditable or not. They will usually do this in an annual statement. You have the right to know if your benefits are as good as another plan. Creditable coverage is one way for you to compare quality between different types of prescription drug coverage. Why Does Creditable Coverage Matter? Not having creditable coverage could cost you money. This is because Medicare charges you penalties if you sign up late for Part D. Signing up late means that either 1) you missed your Initial Enrollment Period when you turned 65 years old and you did not have creditable coverage at the time, 2) you missed your Special Enrollment Period when you left your employer-sponsored health plan, or 3) you did not sign up within 63 days of losing creditable coverage from another source. Part D late penalties can last as long as you have Medicare.